The Talent 500 table from Actiu is designed by Marcelo Alegre from Alegre Designs. Alegre’s aim is to reinvent daily articles and this is precisely what he has done with the Talent 500 Table. The table is a collective, mobile, foldable, stackable and raiseable table system that offers great versatility to multi-use spaces. It also provides an ergonomic improvement, as its height adjustment system does not need an electrical connection. As well as the top of the table coming in standard laminate finishes, it is also available in a writeable finish, turning the table when it is in its Flip Position into a whiteboard. 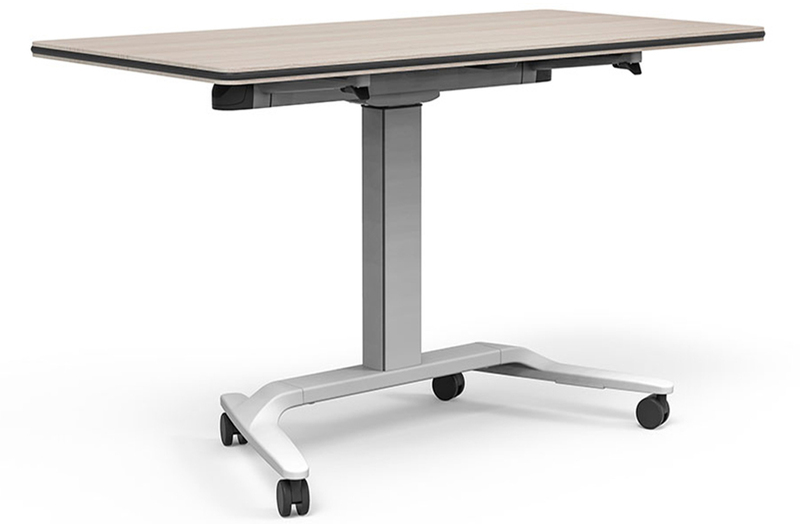 The Talent 500 table is the ideal option for today’s agile workplace environments and is also suitable for use in education and training areas. The fact that it is a stackable table system means that an area can become multifunctional. 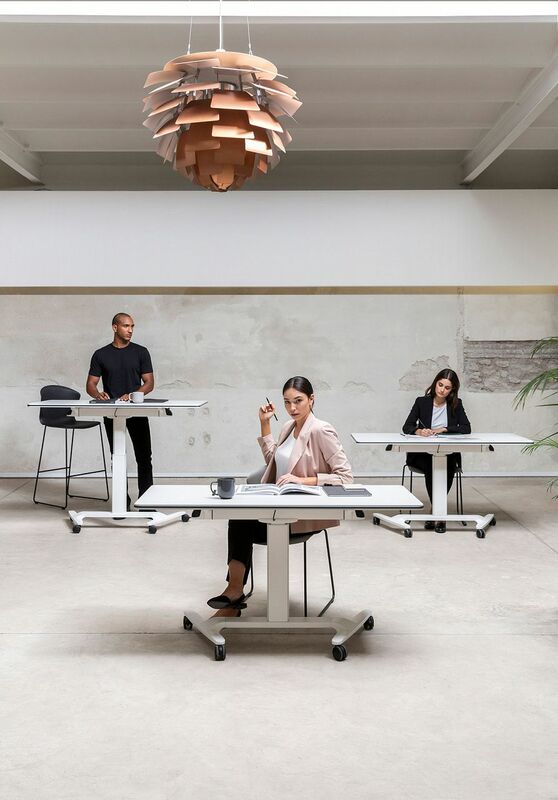 In today’s world of creating a working environment of wellness, this is precisely the advantage of using the Talent 500 Table – the user has the flexibility for creating their own working area. Available in a variety of sizes through Interstudio.